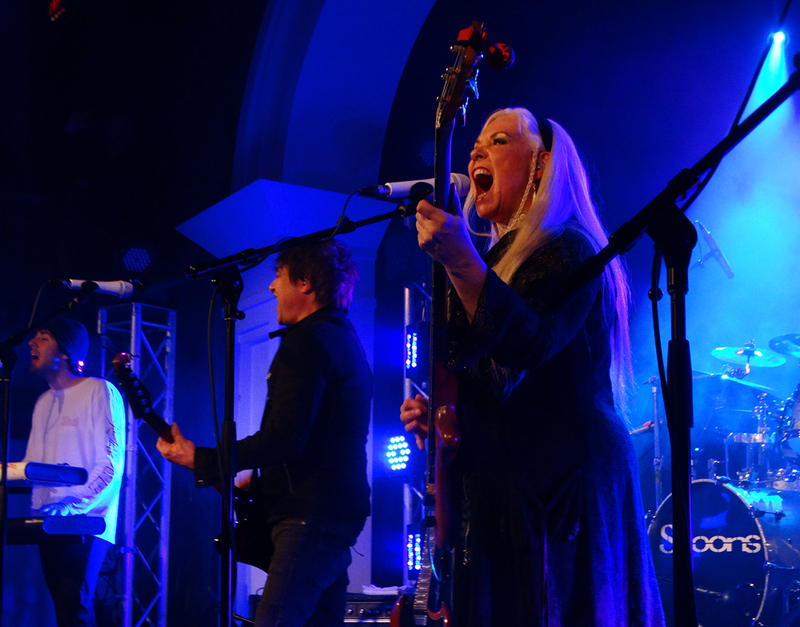 Toronto’s 80’s pop pride and joy made its way back to a sold out show at the Great Hall. This was their jump off point to promote their brand new CD, ”New Day, New World”. They opened the evening with the title track and continued with some more new songs. Gordon Deppe made a deal with the audience. If we listen to the new material the band will throw in their hits in between. I don’t think that would be a problem because the new stuff carried the weight of just about any great Spoons song. Their pop worthiness was fully intact and they even shared some serious moments. During all of this Sandy Horne made sure she acknowledged everyone who came with her charming and happy smile, the people in the balcony felt her presence. Well, Gordon did promise us some hits and they started with 2 songs from their acclaimed album, “Arias and Symphonies”. The crowd woke up with a Nova Heart and sang along with Arias and Symphonies. The band slipped back into some new material and threw in a nice surprise. Invited on stage was Sandy Horne’s daughter who got to sing the next number, “Paint by numbers”, a very sugary sweet tune that this band could conjure up and hand out like mind candy. Here is a fun fact: the recording studio that was portrayed in Bohemian Rhapsody, you know the one in the country were they created the album, “A Night at the Opera”. Well wouldn’t you know it, that was the same studio were Spoons did their great album, “Vertigo Tango”. With that said they easily slipped into their big hit from that album, “Waterline”. Another fun fact: well maybe not so fun for the fans that have been with this band since the beginning. The band will be celebrating 40 years together next year. Other treats were, “Old Emotions” and “Tell no lies”. The band had a short break and came back for an encore. They did “Bridges over Borders”, a song that I feel should be the new Anti-Trump anthem. What do you think? Well the show woke up a lot of middle aged people and let them relive their youth in a good way. Sandy and Gordon were happy to come out and talk to their fans after the show, a very classy thing to do, to a fun and lively evening.